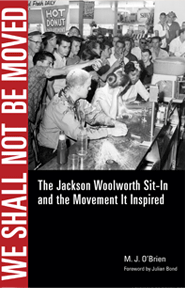 "Fred Blackwell’s iconic photograph of the Jackson Woolworth’s sit-in captivated me and inspired me to delve deeper into the story of what happened on that game-changing day in Mississippi movement history." 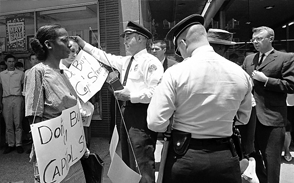 It was while visiting the Martin Luther King Center for Social Change in Atlanta, Georgia in 1991 that M. J. O'Brien conceived the work that has become We Shall Not Be Moved. 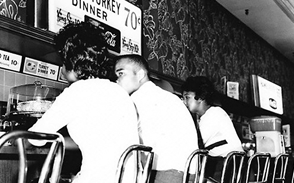 As part of its civil rights display, the King Center showed a photograph of the 1963 Jackson, Mississippi Woolworth's sit-in–a photograph that has become the image used in history books and magazine articles to show what a sit-in was like. O'Brien was captivated by the photograph because at its center was a woman, Joan (Trumpauer) Mulholland, whom he had known for a number of years. 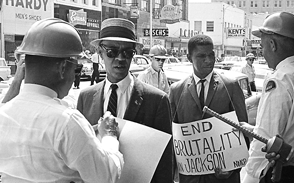 For much of that time, Mulholland had been reticent about her civil rights experiences. Seeing the photograph in such an esteemed environment made O'Brien realize that there was much more of a story behind the photograph than Mulholland was letting on. 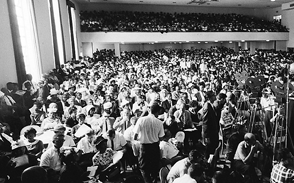 O'Brien was inspired to tell the story of the nine individuals who sat-in that day–May 28, 1963–and to fully explore the grassroots civil rights movement in Jackson that the sit-in sparked to life. 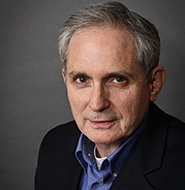 M. J. O'Brien is an independent writer and scholar who lives and works in Fairfax, Virginia. 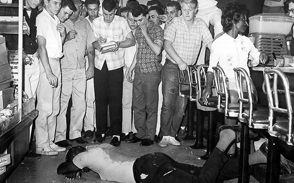 His interest in the civil rights era was sparked as a Catholic seminarian during the late 1960s and further deepened as he studied the nonviolent philosophies of Mohandas Gandhi, Martin Luther King, Jr., and Dorothy Day. He excelled at English and History during his undergraduate pastoral studies at St. Mary's Seminary & University in Catonsville, Maryland, and graduated in 1973. 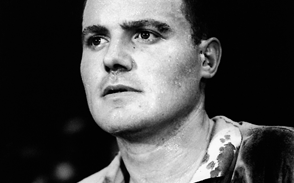 He went on to earn a second bachelor's degree from The American University's School of Communication in Washington, D.C. A practicing corporate communications executive for the past 30 years, Mr. O'Brien–along with his wife AllysonMcGill–adopted three children of African-American descent and through that experience has developed a keen interest in race relations in the United States. This is his first book.